If you are a blogger or webmaster it is important that your sites load time should be optimum otherwise your visitors won’t stay. Php speedy is a useful script to speed up your blogs or sites. It decreases the load time of your blog by making fewer HTTP requests, gzipping pages, minimizing scripts and styles. For other blogs and sites php speedy script is available as standalone install. 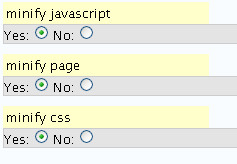 All you do is download the script and install in a sub folder in your domain (ex: http://www.yourdomain.com/php_speedy/). After installation you have to add a line of php code to top and bottom of your site pages. I didnt understand the instalation part! Bleeding edge, isn’t it? But I wonder whether it’d be stable enough for production usage. I’d be testing out once final release is out, for sure. @Nirmal: From what I understand, there’s a preview tab in admin panel, where it’d test for req. files. Ram, any idea what exactly it does so that the pages are rendered fast? Is this plugin still a preview? I’m hoping to try this out. Thanks for sharing!